Yes, it’s that time of year, when weeds arise and rise again. 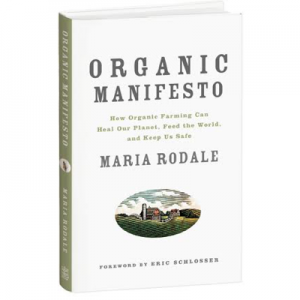 Even the most devout organic gardener might be tempted to pull out the evil chemicals at times—especially when it comes to those hard-to-weed places like cracks in between rocks and gravel walkways, where there’s no food growing that could be tainted by a toxic treatment. But now, thanks to the advice of an old friend of mine, Nancy Small, I have a new solution. A very simple, easy solution. Yes, a teapot. 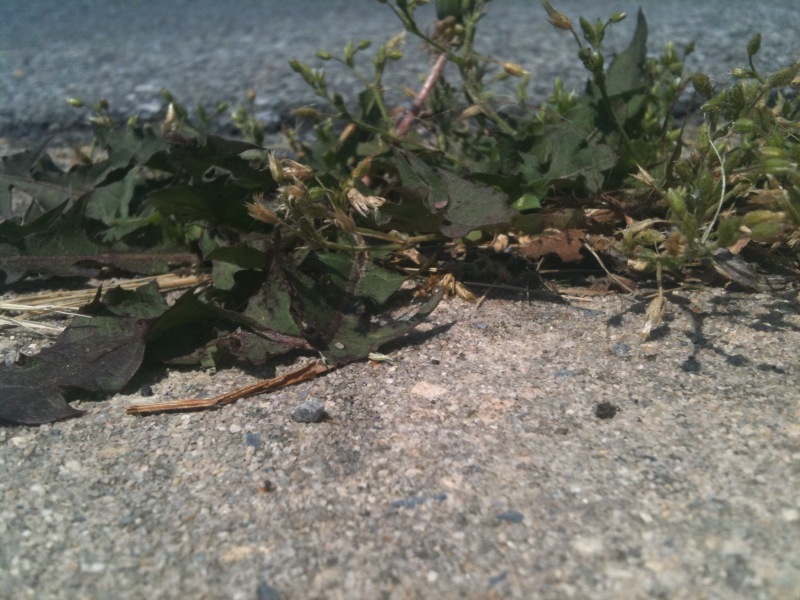 It turns out that boiling water will kill weeds—especially little, profuse patches of weeds in gravel, walkways or rocky areas. I tried it and it works. At first, when you pour the boiling water over weeds they look, well, rather cooked. Blanched. Bright green and almost edible. Walk away and come back a few hours later and you will have a hard time finding evidence at all. Some larger weeds will need to be pulled, but they are a fragile carcass of their former selves and lift right out. 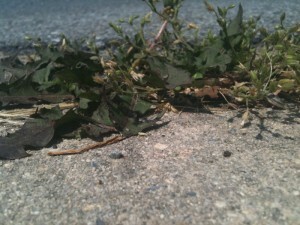 Pesky weeds growing between the sidewalk cracks. It may be a lot of trips back and forth from the kitchen to the yard, but water is free and clear of anything bad. If you live in an area where water is especially precious, you can use waste water from cleaning food or dishes—the boiling will kill any little bugs that might be in there. I would hesitate to use this method on your garden soil, since good garden soil is alive with microbes and worms and we don’t want to hurt any of them, or they can’t do their job to help your garden grow. (For little weeds in a veggie patch, there is nothing better than a good, sharp hoe!) But for those other areas, plain ol’ boiling water works wonders. Try it and let me know if it works for you. And…please share! What other organic weeding secrets do you have? This method id especially good for hard to kill weeds. Just be careful that there are no roots from valuable plant material under those pesky weeds or you could kill more than you bargained for. Thanks for this post Maria. In a moment of temporary insanity, my husband almost bought chemicals over the weekend to address our overabundance of weeds. It is amazing how quickly people fall back into the trap of believing that chemicals only last a few days. I stopped just short of having a meltdown in the middle of the store, but I did convince him to resist the dark side of the force. We bought some oil of cloves for the most stubborn weeds, and instead of spraying, I started pulling away until the rains came. We’ll try the boiling water tip next. Works great on ants, too. PS the tool works great for cleanig out debris between deck boards as well and the original Diggit is the best tool ever for getting Dandilions out of your lawn and garden. I love the idea of boiling the suckers! 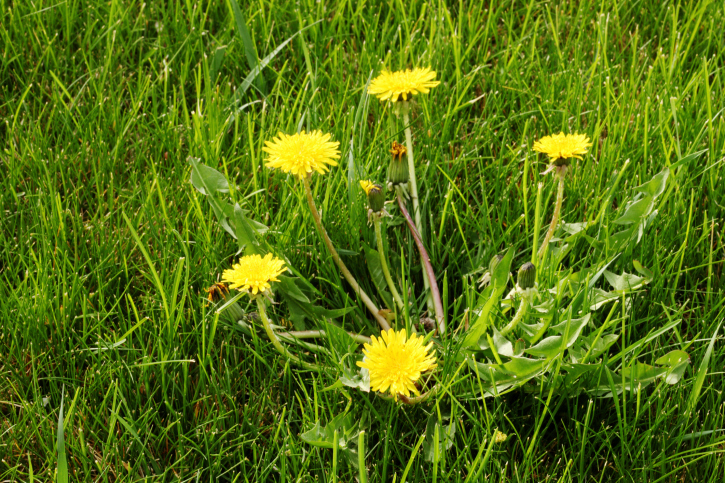 Also, corn gluten meal has been shown to inhibit the growth of dandelions, crabgrass and many other annual weeds. Vinegar works, too, but it is a non-selective herbicide and will harm plants that are inadvertently exposed to it, so stick to using it on weeds that sprout up on paths and similar. Thank you, thank you, thank you. I was already to pull out the Round-up for all those weeds tha come up in my walk ways and my driveway. I’m going to definitely try the boiling water. My question is does it jyst wilt the weed down or does it kill out the root also????? Any way I’m going to try it. I think it kills the weed and the root if you pour enough boiling water onto it. Big roots might need more than one dose! I’ve done this before and it works. Just don’t wear sandals. The water splashes and will burn you. This is good top do when you have boiling water from cooking corn or from canning. Yep, that’s what I do with my canning pot water. I’ve also used vinegar on weeds in the stone patio with success. I’ve used corn gluten and have never seen positive results. The weeds still come up and it seems to me to be a waste of time and money. In equatorial Malaysia with enough water and sunshine 365 days/yr, it’s always a never-ending battle with the weeds. I’ve taken to framing my fruit trees and veg. beds with odd pieces of tiles that I pick up for free and making many trips outside with the electric kettle (much, much bigger than tea pot heh, heh!) to murder the unwanted growth outside the perimeter I’ve made. Started with bricks but found it too narrow and the weeds crept in too fast. My garden is uneven so it can’t be mowed. Need a bush-wacker to control the bigger areas but I need to pay for service. Not exactly a spring chicken anymore and there’s only so much one person can do. The growth that is inside the tiled perimeter, I weed by hand – strictly no chemicals. What about poison oak? I don’t think I want to vaporize the irritant with boiling water. Any suggestions besides vinegar for getting rid of it without chemicals or touching it? What I do with poison ivy and it’s ilk, is get an old plastic bag that fits up my arm, and then put a paper bag over that (all while wearing long sleeves and gloves)…grab the poison by the stem (being very careful, of course, not to let any of it touch you), then pull the bags down to cover the poison — tie it with a knot and then throw it in the trash. Make sure you get as much of the root as possible or it will come back. And if any of it touches you, wash thoroughly right away with soap and warm water. My parents didn’t know about the dangers of chemicals but they were poor so this was their method. I have a child highly allergic to poison ivy so I was looking for something to buy to kill it. I couldn’t find anything natural so I started reading the back of chemical bottles promising to kill stubborn shrubs safely. Every bottle comes with a warning not to use in an area where children or pets go. How is that safe. I decided on a good pair of gloves for pulling. Thanks Janice for the Diggit tool suggestion. I just ordered the original Diggit Tool and the Diggit Duck. My husband was just out the other day pulling weeds and grass out of the sidewalk cracks with his bare hands. We are really excited to use these tools! Plus they’re made in the USA! This might seem too obvious to suggest, but be careful not to burn your feet using the boiling water. I’ve done it! Poison Ivy showed up in my kids’ playground… I hope I got all that pesky vine as it wrapped around the sand pit area. Nothing like yanking up one weed to discover that poison ivy vine is in the mix. Will the boiling method work on killing any berries & flower seeds (kudzu-like thorny vine with blue berries & traditional thistle) in addition to the plant itself? I have had a wonderful morning boiling my weeds. I got some funny looks at my corner store when I walked out with a litre of vinegar, but it worked! I’ve managed to get most of the roots out, so I am hoping this is it for the weeds! My 4-year-old daughter enjoyed pulling them out after I doused them. Hi! On our property there is a great deal of poison ivy. We have been systematically reducing it over time. I wanted to share this info after much research and experience. Washing poison ivy exposed skin with water can actually spread the exposure to a larger area on your skin. We keep a big bottle of rubbing alcohol by our sink and with us when working in the garden. If you can pour rubbing alcohol on any suspected contact areas and rub vigorously within minutes of exposure it really will remove the ivy oils. Then you can go ahead and wash with soap and water. We have also found a couple of products that have been helpful and effective. Iverest makes a foaming poisonivy removing soap. I have to admit I have not researched the earth-friendliness of this product. Use of the rubbing alcohol within minutes of exposure has been an amazingly effective tool in our war on poison ivy. Try it, you will be amazed and greatly relieved! Considering I am on the third round of poison ivy itchiness this season, I will try the rubbing alcohol idea. I’ve been using Technu “Extreme Poison Ivy Scrub” as faithfully as possible every time I’ve been working near ivy, but I still manage to find random tiny blisters despite my efforts. Thanks!!! Just thought I would post to stay that the weeds are still at bay after the vinegar! I so look forward to the blog posts and the comments are invaluable. I looked like the point ivy queen last summer but now with this advice I’ll survive and conquer. And compost, so simple, thank you. I was weeding last weekend and ‘vinegar’ came to mind, now that’s confirmed – but hot water – love it. 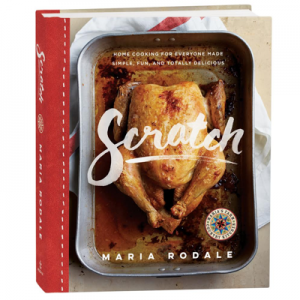 Thanks Maria for keeping us noble gardeners and creating this community of practice. THE BOY SCOUT MANUAL TELLS, ALWAYS CARRY A BAR OF YELLOW SOAP..(IT CONTAINS SULFUR) THIS CUTS THE” OIL” OF LEAVES OF THREE, LET IT BE…. AND POISON OAK IS THE SAME PLANT. BUT DON’T WASH ANY THING ELSE UNTIL U ARE SURE THE OIL IS GONE,,. I LIKE THE VINEGAR IDEA.. GOTTA TRY! THREE THINGS TO LET A SEED SPROUT.1 SUNSHINE,2DIRT,3WATER. IF YOU ELIMINATE SUNSHINE U STOP THE WEEDS, SO TAKE THE GRASS, WEEDS( THAT WON’T SPROUT RIGHT BACK) TURN THE ROOTS TO THE SUN, PUT NEWS PAPER UNDER THE COMPOST. ANY THING TO STOP THE SUN.. BUT THERE ARE GOOD WEEDS TOO,PIG-WEED U CAN EAT THE ROOT, BRINGS UP NUTRIENTS FROM BELOW, NITE-SHADE AND PIG WD. BOTH I LET GROW BECAUSE THEY SHOW- THE INSECTS WILL EAT THEM FIRST, INSTEAD OF GARDEN, REMEMBER PULL THEM BEFORE THEY SEED OUT!… AND U DO NOT HAVE TO PULL THE WEEDS IF U PUT DOWN NEWS, OR CARDBOARD PAPERS PLASTIC GROUND COVERS. TEST AT THE END OF THE WEEK! HA …. WHEN U FIND THEY ARE GROWING OR NOT!!!…. Does anybody know how to rid my veggie garden of stink bugs. If you don’t know, they are small creatures that look like a shield, the ones in my area are brown. They are wrecking havoc on my veggies, please help, if you can. Trying not to use chemicals or just pull up everything and call it a bust! Thanks for any suggestions. regarding poison ivy – My mother is extremely allergic to poison ivy and taught me to rub dirt on my skin as soon as I noticed that I had touched it (usually while weeding).The dirt absorbs the oils and you wash it all away when you get done. Every batch of hit water bath canning I did last year the leftover water took care of the pesky weeds around my driveway & cul de sac! Plan for more of the same this hot & humid summer. I have been browsing online more than 3 hours lately, yet I by no means discovered any attention-grabbing article like yours. It is pretty price enough for me. In my view, if all site owners and bloggers made just right content material as you probably did, the web might be a lot more useful than ever before. For weeds in sidewalks and pavement cracks, I have seen professional gardeners use a propane torch. It is a is quick and efficient method, though it may not be certifiably organic, and there equipment is about $100 – $200 USD. For weeds in the garden (especially the vegetable garden), I like the cover method: cover the space around your plants with layers of newspaper, cardboard or paper feed sacks (lots of those around the farm!). With poison ivy, the trick is to not scrub. That compromises the cuticle of your skin. Wash gently with soap and cool water starting at the extremities and do at least three suds and rinse cycles. Warm water opens your pores, not good. Nest of all is to avoid it, but hand soap and water does work as long as the stuff is not ground in to your skin already. I know, because I get poison ivy bad if I’m not careful when pulling it. If I have a big patch to deal with I get a disposable painter’s jump suit. It is hard to wash out of clothing. you can protect yourself from big unexpected expenses as much as possible. mobiles devices in the form of smart phones, personalising your phone by making them truly an entertainment destination. missed by businesses whose websites do not as yet have mobile versions. idea of what direction to go in.